The CCM Spitfire was developed by an A-Team division within Clews Competition Machines nicknamed the SkunkwerX – a hat-tip to the legendary Skunk Works team at Lockheed Martin. 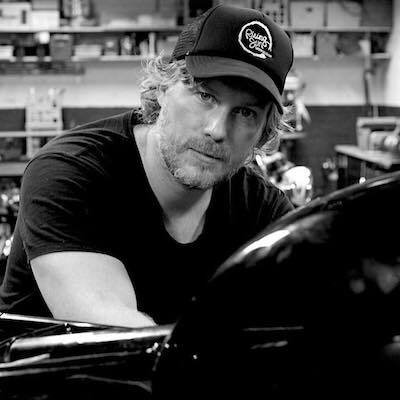 The Spitfire is very possibly the fastest selling hand-built production motorcycle in the world, when it was announced in 2016 with a limited run of 150 units it sold out in a week – with a third of the allocation selling out on the first day. 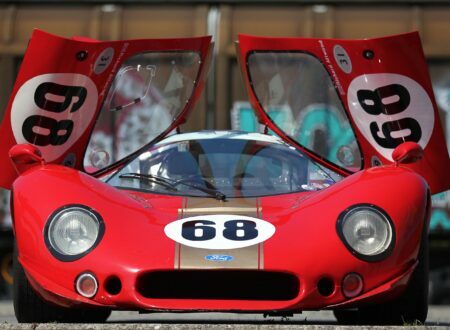 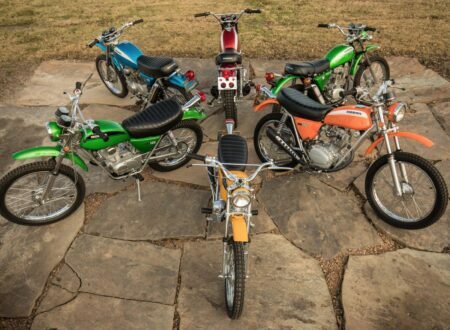 Clews Competition Machines, commonly abbreviated to CCM, was founded almost by accident by talented amateur racer Alan Clews in 1970. 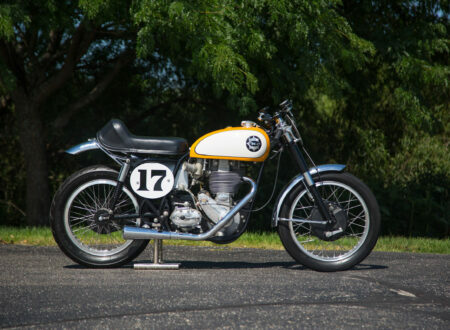 BSA refused to sell him one of their factory racing machines and so he set out to build his own – the motorcycle he created proved so popular he could hardly keep up with demand to build customer bikes. 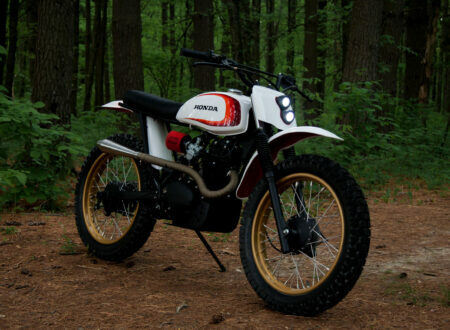 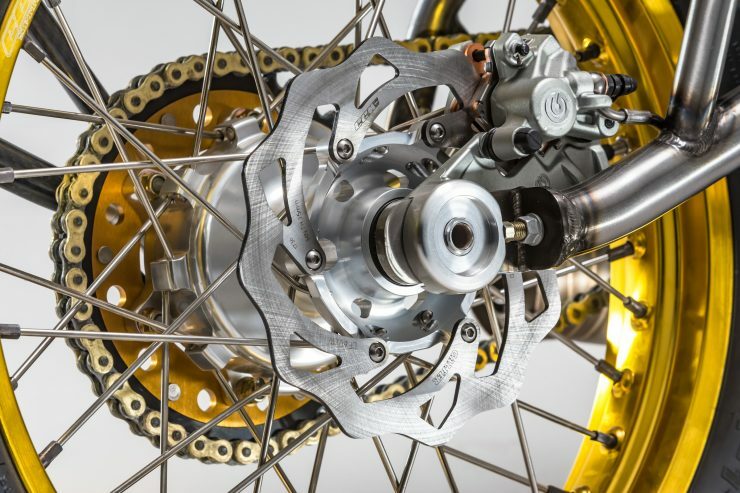 CCM quickly developed a reputation for building world class motorcycles for trials, motocross, scrambles, supermoto, and road racing. 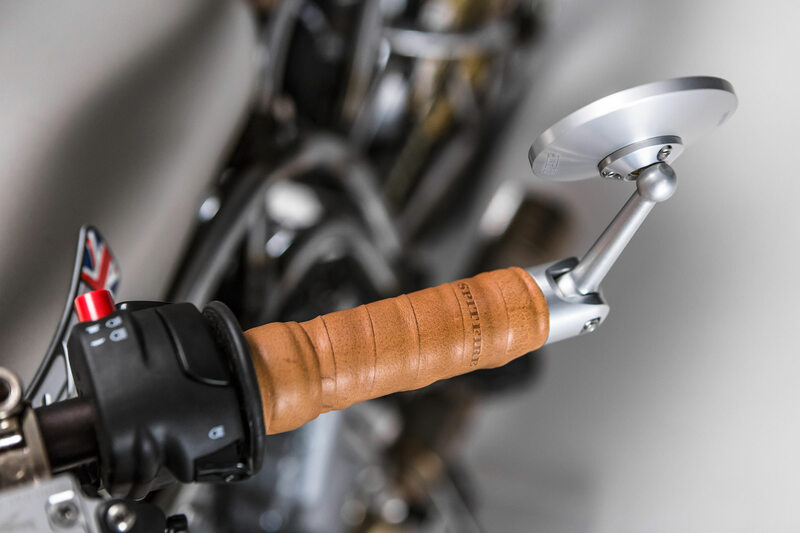 Over the years the company went from strength to strength, Alan retired and was succeeded by his eldest son Austin and fellow family members Gary, Russell, Ben, and Jack, along with a small team that have become part of the family after years of working shoulder to shoulder together. 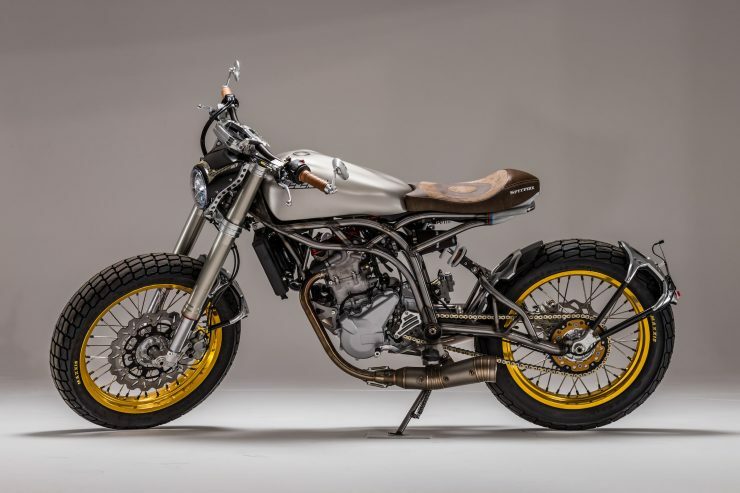 More recently their primary model was the popular CCM GP450 Adventure – a lightweight adventure bike built around a BMW-design 450cc single cylinder engine. 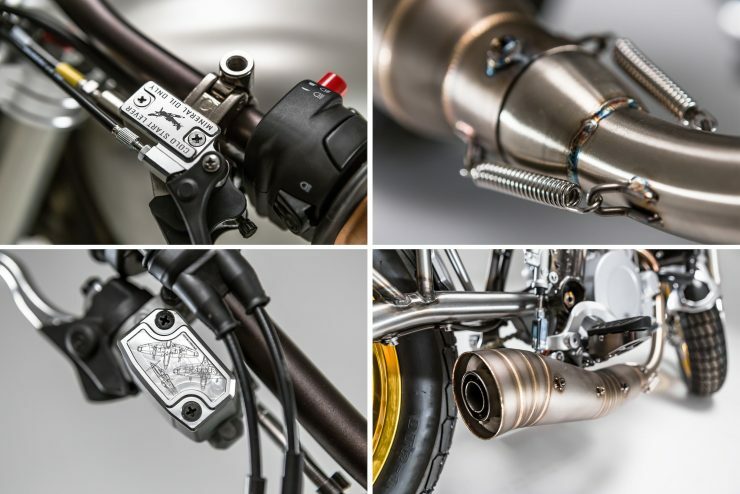 The lightweight and highly advanced adventure bike sold so well that they exhausted the supply of engines, but there’s a new 600cc adventure bike in the prototyping stage now. 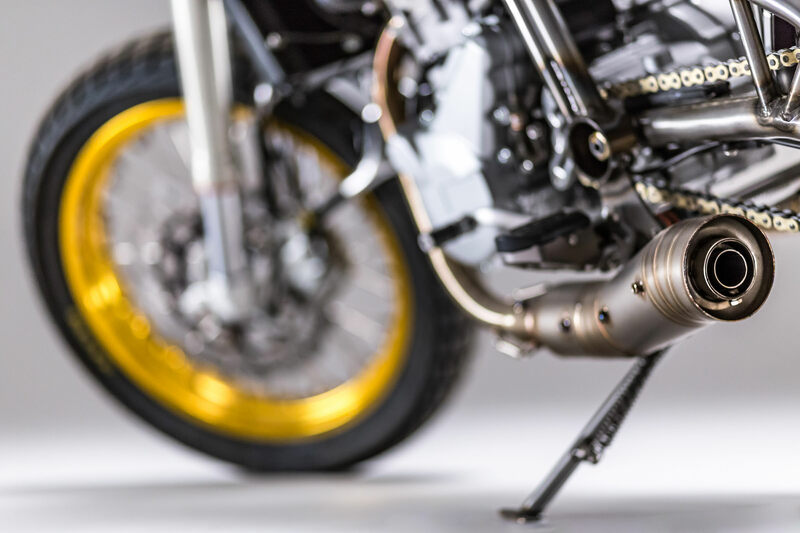 One day while on a lunch break the team got to talking about ideas for an all new bike, unbridled by the typical concerns of mass-production motorcycles. 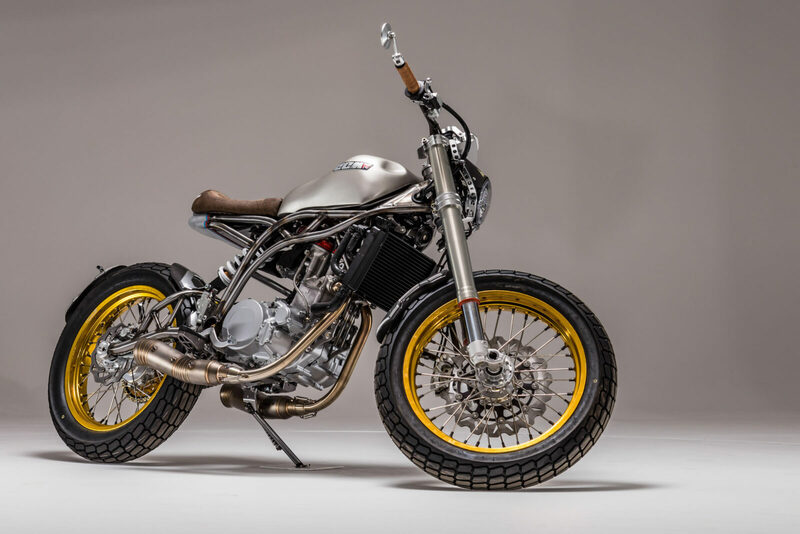 Sketches were made on napkins and the resulting design was then turned into a full CAD design by CCM’s Chief Designer. 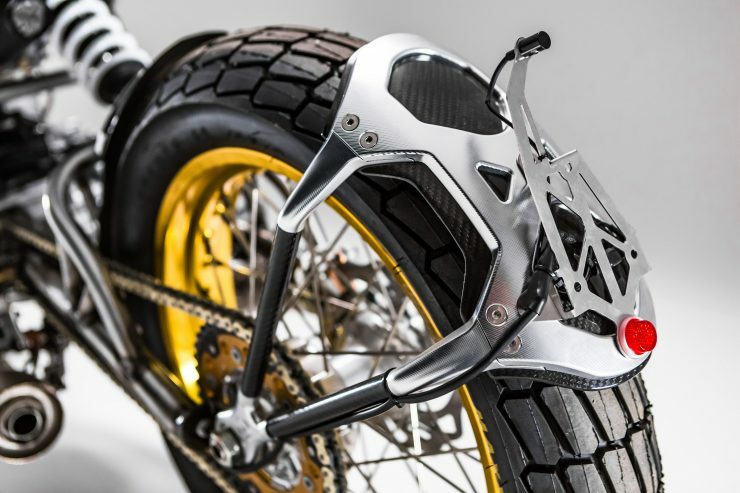 The CAD prototype was so promising that the team tasked master craftsman Ted Unwin, one of Alan Clew’s former bike builders, to create the distinctive tubular trellis frame – hand-welded from T45 high-strength British steel, the same steel used in the construction of the original Supermarine Spitfire fighter plane of WW2. 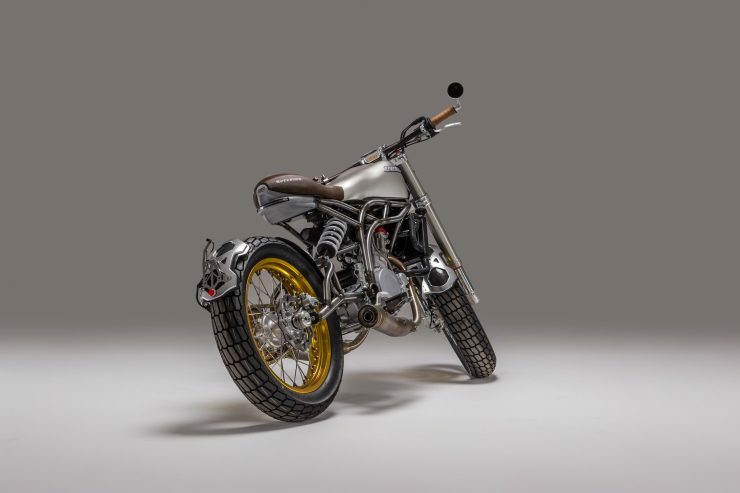 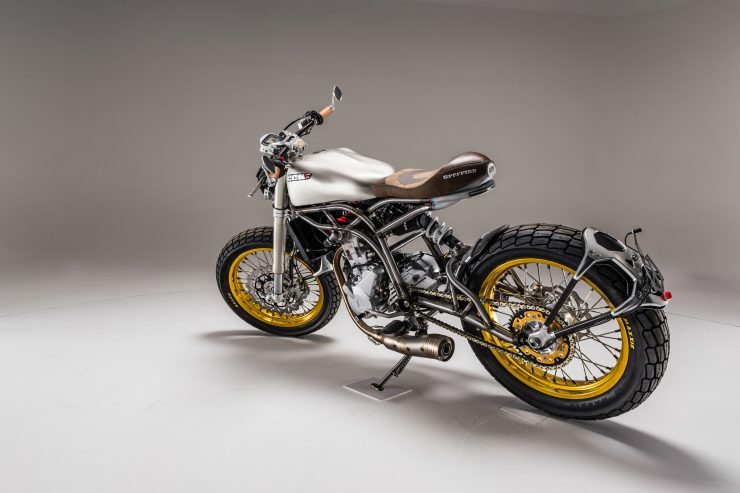 The team sourced the same single-cylinder engine used in the Husqvarna TE630 and used it as a load-bearing member, advanced adjustable upside down WP forks with 120mm of travel was fitted up front, with an adjustable monoshock fitted in the rear – also with 120mm of travel. Braking is tasked to a 320mm disc with a Brembo 4-pot up front and a 240mm Brembo disc in the back. The DOHC 4-valve engine is liquid-cooled and produces 55 bhp with 43 ft lbs of torque, the ready-to-ride weight of the bike is just 139 kilograms (306 lbs) so performance is spritely to say the least. 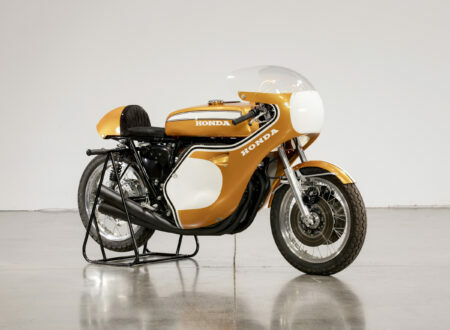 CCM designed the Spitfire to have a sporting, upright riding position with wide handlebars for excellent maneuverability and a seat with room for just one – as most motorcycles probably should. 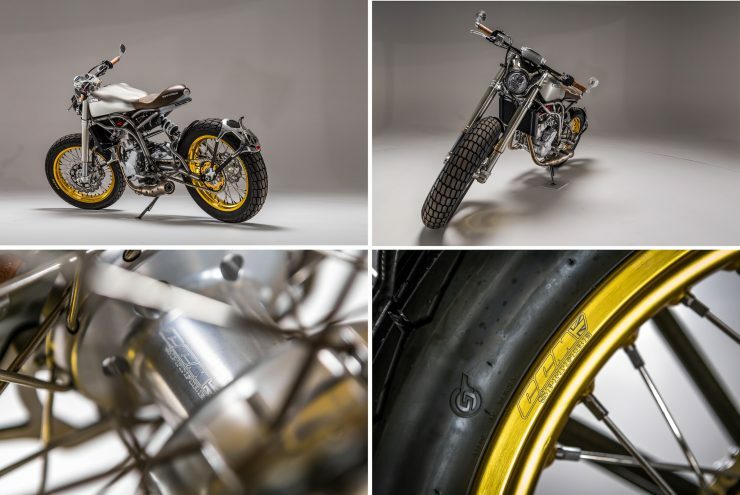 The CCM Spitfire has a number of signature design cues, perhaps most notably is the hand-welded frame with blueing deliberately left in place, the gold anodized 19″ wheels with billet hubs, and the shapely aluminum fuel tank. 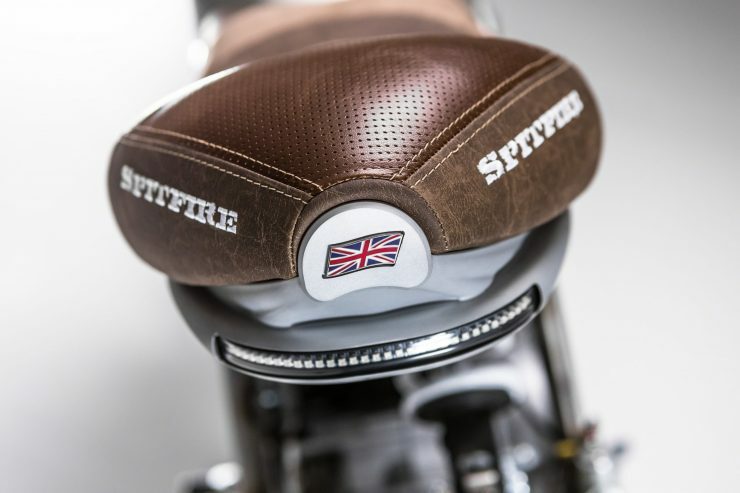 Far from being a show pony, the Spitfire has been a hugely popular bike with motorcycle journalists due to its excellent handling and unbeatable power-to-weight ratio. 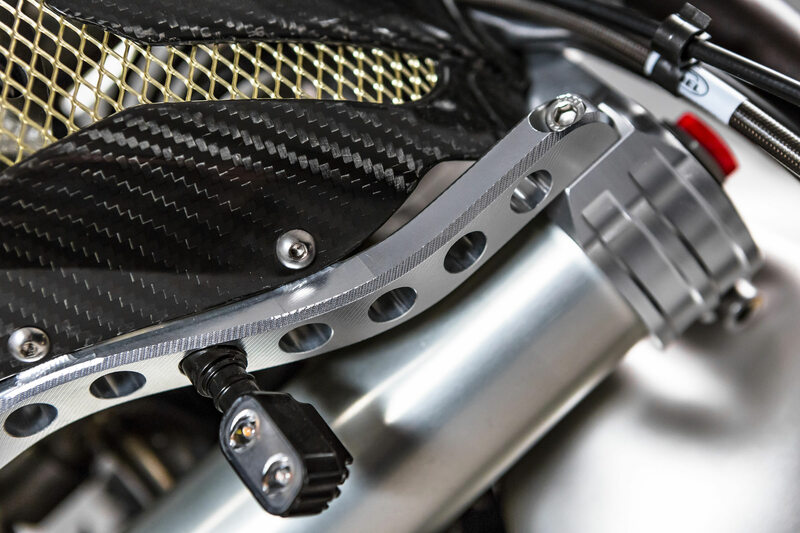 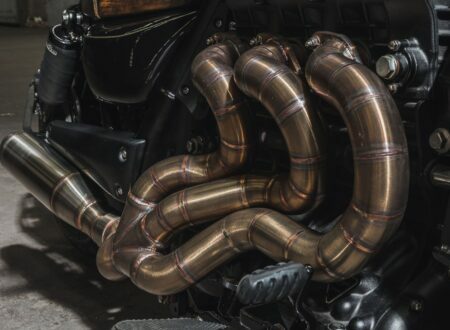 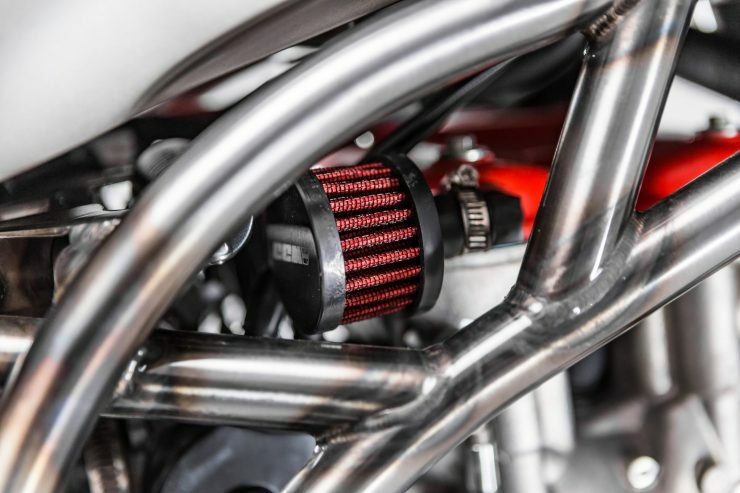 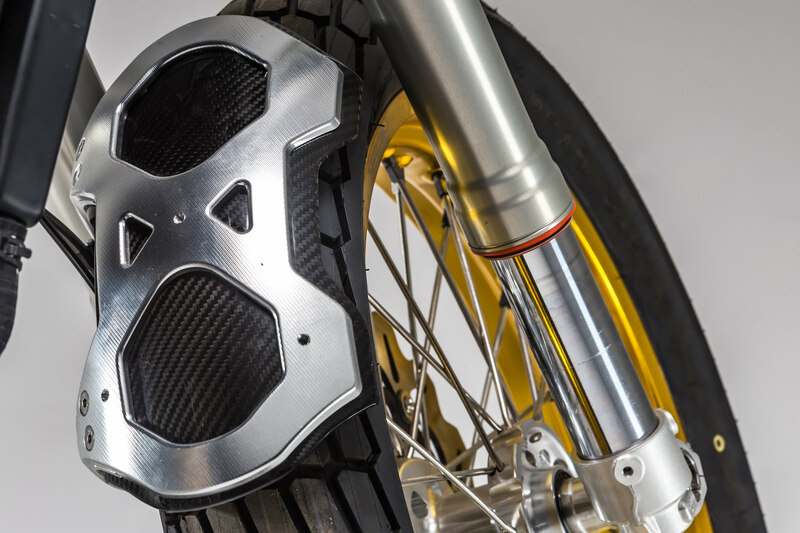 Perhaps the most significant benefit of the bike is that unlike many smaller-scale manufacturers, CCM chose to source top notch parts exclusively. The Husqvarna engine/gearbox was designed to take a beating off road and keep running, the front and rear Brembo brakes are rock solid, front and rear suspension is world class, and the frame, geometry, and overall design was handled by a team used to building adventure bikes capable of circumnavigating the globe. 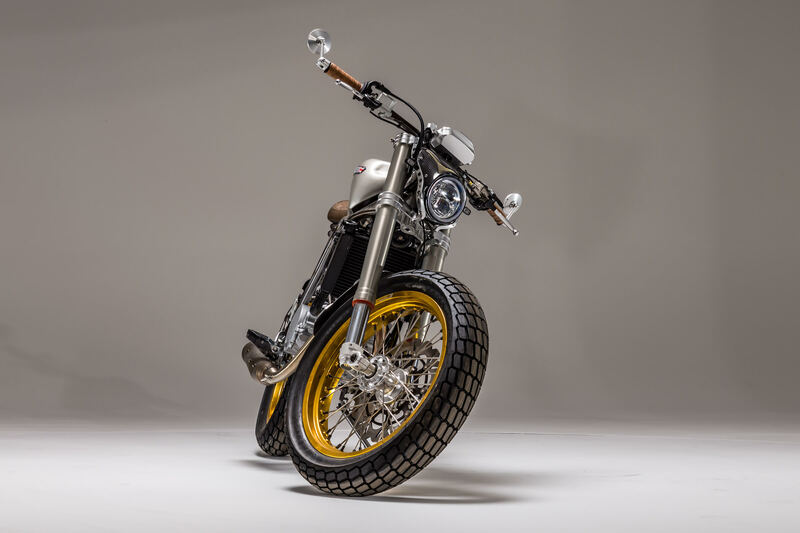 If you’d like to enquire about buying a CCM Spitfire or one of the companies other models you can visit their website here.